This 2012 Human Heart Nature started the year fresh, clean and pure! They launched new products that is reminiscent of the fresh summer breeze, the cleanliness of nature's care and the pureness of our God given beauty. I was so psyched to try the new products, and try them I have! 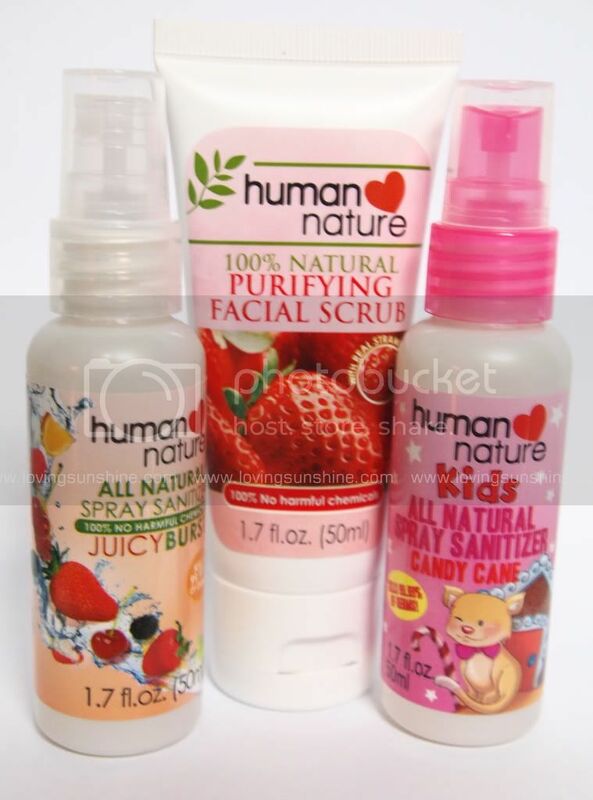 Starting from the best product they opened the year with, let me share you my thoughts on the new Human Heart Nature 100% Natural Purifying Facial Scrub with Strawberry Seeds. 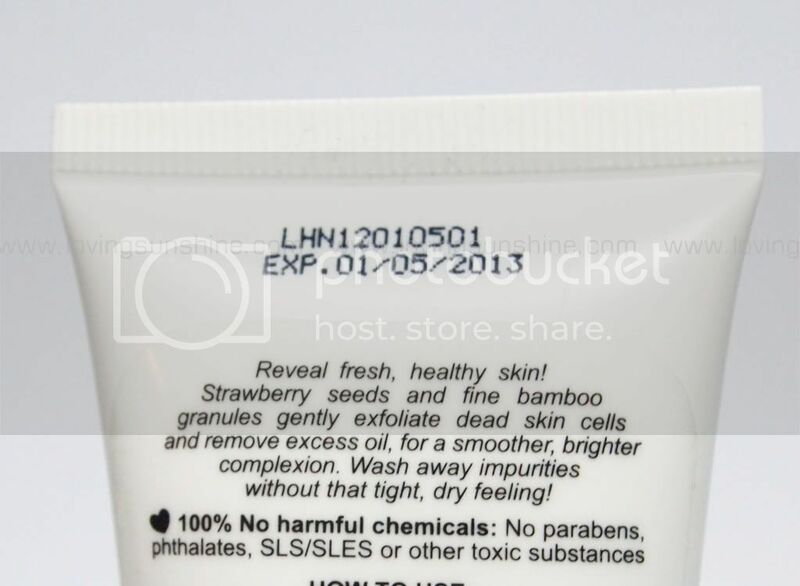 I love how clearly they stamped the product's expiry date and batch code. Knowing Human Nature, the packaging may still be improved, but for it's version 1.0, I think it's good enough. I like the simplicity of the tube the most. I'm not a fan of how hospital-esque the white squeeze tube is. I don't think it embodies the beauty of strawberries! It's a creamier formula. The first time I tried it, I compared it to body butter, but scrub. As you can see below, one squeeze of it has rich body, but do you notice those granules? 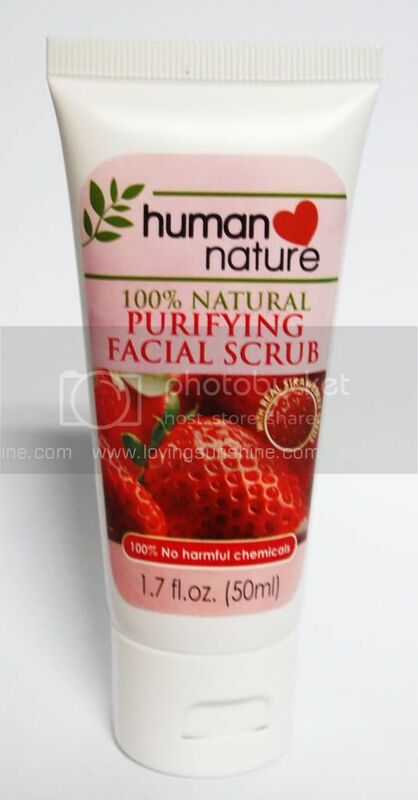 Isn't it lovely to witness how the facial scrub is indeed made with real strawberry seeds?! :) I can't capture on camera (and can't see myself) but the scrub is also loaded with bamboo granules which works so efficiently in exfoliating that dull layer of skin! It's my right kind of exfoliation--feels harsh enough to be considered effective, but gentle to the skin that you don't end up looking like someone beat you up! I would recommend this if you are feeling stressed out and you need an easy-to-understand and manageable skin BFF. Just use this at least twice or thrice a week, depending on your skin condition, and notice in at least 5 washes how improved your skin could get! I would also recommend this for those with oily skin because strawberries are very helpful in controlling sebum production too! The trick about "fixing" oily skin problems is by teaching your skin well! Excess oil production can be a sign of would you believe it dehydrated skin, so properly nourishing your skin and helping it reach that balanced state is essential in teaching your glands to stop over producing moisture. Have you tried strawberries for your skin already? What product would you recommend? Doing good is far more important than doing right. hehe very adik much haha you should try mo siya. definitely worth it. im hooked. I really like this too :) I have yet to review it but I agree that it is great for people with oily skin. Glad to meet another Human Nature fan! i really like that packaging! even though really elaborate packaging is nice to have, i prefer simple ones for functional things such as skincare. it makes me feel like i'm putting my money towards the quality of what's inside, and that i'm not paying a ridiculous amount for the packaging! You should! Their hair care range are absolutely divine! :D Saved me from so much hair problems! I love my Purifying facial scrub as well. This is definitely one of the best skin products. I made a blog about it myself.